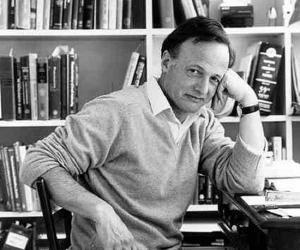 John Polanyi is an eminent Hungarian-Canadian chemist, who won the Nobel Prize for Chemistry in 1986. Check out this biography to know about his childhood, life, achievements, works & timeline. John Charles Polanyi is an eminent Hungarian-Canadian chemist and educator who, along with Dudley R. Herschbach and Yuan T. Lee, received the Nobel Prize for Chemistry in 1986 for “for their contributions concerning the dynamics of chemical elementary processes”. Born in Germany to an emigrant Hungarian family, he was brought up in England where he later attended the Manchester University and received his Ph.D degree in 1952. Thereafter, he joined the National Research Council in Canada and Princeton University in New Jersey for his postdoctoral research. Four years later, he joined the faculty of the University of Toronto and in 1974, became the University Professor. He is best known for developing a technique that is known as ‘infrared chemiluminescence’ based on the investigation that molecules, when energized, give out infrared light. Through spectroscopic analysis of the changes in the light released during a chemical reaction, he was able to trace the exchange of chemical bonds, thus helping to detail the disposal of excess energy that occurs during chemical reaction. Apart from the prestigious Nobel Prize, he has received numerous other awards such as the Wolf Prize in Chemistry, the Royal Medal, the Henry Marshall Tory Medal, etc. In public sphere, he actively voices his opinion about government policies concerning science and nuclear weapons. John Polanyi was born on 23 January 1929, in Berlin, Germany to emigrant Hungarian parents, Michael and Magda Elizabeth Polanyi. Michael was a renowned chemist and philosopher who did revolutionary work on the mechanisms of elemental reactions. His family consisted of other learned members as well. 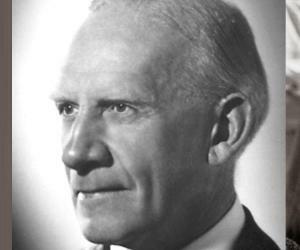 His grandfather, Mihaly Pollacsek, was a successful railway builder while his uncle, Karl (1886-1964) was one of the leading economists of his time. His grandmother was also an active intellectual figure. His father was born Jewish but later converted to Catholicism. Hence, when Adolf Hitler began his atrocities against the Jews, his family migrated to Britain, in 1933. When John was eleven years old, World War II had already begun. To keep him safe from German bombings, his father sent him to Toronto, Canada for three years. While living in Toronto, he attended the University of Toronto Schools. After returning to Britain, he finished high school and entered Manchester University in 1946. He received his undergraduate degree in 1949 and his Ph.D degree in Chemistry in 1952. His area of research was on determining the strengths of chemical bonds in compounds that have been exposed to very high temperatures. After completing his Ph.D. studies in 1952, he joined the National Research Council in Ottawa, Ontario for postdoctoral research. During that time, he collaborated with E.W.R. Steacie and worked briefly in the laboratory of future Nobel laureate Gerhard Herzberg. 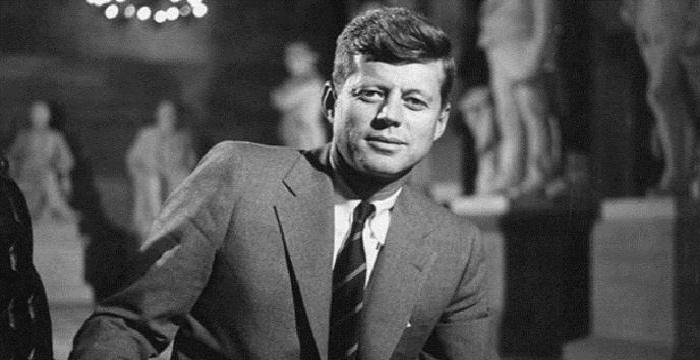 In 1954, he became a research associate at Princeton University following which, in 1956 he returned to Canada and became a Lecturer in Chemistry at the University of Toronto. He made steady progress in his teaching career and was promoted to Assistant Professor in 1957. Three years later in 1960, he became Associate Professor and in 1962, he was promoted to full Professor. In 1974, he was named University Professor, a position he still retains. In 1958, Polanyi and his graduate student, Kenneth Cashion, published their initial findings on infrared ‘chemiluminescence’ (the emanation of light by an atom or molecule that is in an energised condition). The measurement of this very weak emission helped to establish the quantum mechanical energy state of the molecules and chart the reaction. This further helped in the construction of a ‘vibrational’ laser that made significant contributions to science and medicine. His discoveries also paved the way for a new way of researching the characteristics of chemical reactions. His work focused on the use of ‘spectroscopy’ (the science that deals with the study of the light spectrum). 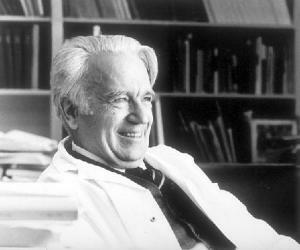 He first published his scientific research in 1953 and since then, he has published over 250 scientific papers. This apart, he has spoken and written at length on science policy, the control of weapons, and international peace relations. In 1970, he produced a film titled ‘Concepts in Reaction Dynamics’, and co-edited a book called ‘The Dangers of Nuclear War’. John Polanyi is known for his work in chemical kinetics. 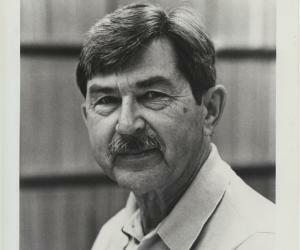 He developed the technique of infrared chemiluminescence, which was used to measure weak infrared emissions from a newly formed molecule in order to examine energy disposal during a chemical reaction. 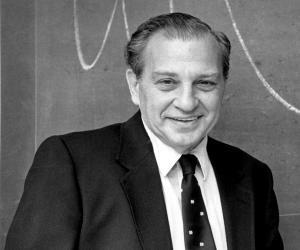 The Nobel Prize in Chemistry 1986 was shared by John Polanyi, Dudley R. Herschbach and Yuan T. Lee “for their contributions concerning the dynamics of chemical elementary processes”. He is a Fellow of the Royal Societies of Canada, Fellow of the Royal Societies of London, and Fellow of the Royal Societies of Edinburgh. He is a member of the American Academy of Arts and Sciences, the U.S. National Academy of Sciences, the Russian Academy of Sciences, and the Pontifical Academy of Rome. He played a significant role in the establishment of the Committee on Scholarly Freedom of the Royal Society, and the Canadian Committee for Scientists and Scholars, a human rights organization of which he is President. In 1958, John Polanyi married Anne Ferrar Davidson. He has two children; a daughter named Margaret (born 1961), who is a journalist, and a son named Michael (born 1963), who is a physicist turned political scientist. Anne died in 2013. Polanyi is presently married to portrait artist, Brenda Bury. Apart from science and politics, he is interested in arts, literature and poetry. In his youth he was a passionate white water canoeist but later on switched to walking and skiing. The Ontario government created the ‘John Charles Polanyi Prizes’ as a tribute to his Nobel Prize win. Each prize is worth $20,000 and awarded to young postdoctoral scholars or new faculty members of Ontario University, in Physics, Chemistry, Medicine, Economics and Literature categories. Canada's Natural Sciences and Engineering Research Council (NSERC) created the John C. Polanyi Award to felicitate researchers whose work in an NSERC supported field has resulted in a remarkable progress in the field. After finishing high school, for a brief period of time he contemplated a career as a poet.